Integrated access: One connection combines multiple services, multiple devices, and multiple destinations. Standard interfaces: Standard interfaces ensure easy installation. Message-oriented signaling: ISDN won't distort or lose your information like analog data transmission. Customer control: With ISDN, you can specify what services you want. Internet Access. 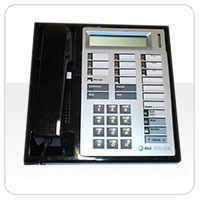 ISDN provides high-speed, cost-effective digital access to the internet. At 128Kbps, a Basic Rate Interface (BRI) ISDN line is eight times faster than a 14.4Kbps modem, less expensive to use, and easier to maintain. And a Primary Rate Interface (PRI) provides even greater capacity. File Access and Transfer. ISDN makes it fast and easy to transfer files, including large graphics files, from a remote server directly to desktop computers. Customer Service. ISDN tells you who's calling while you simultaneously access customers' online account information. Conferences and Meetings. ISDN's videoconferencing capabilities save money on travel costs. Facsimile Messages. ISDN service lets you upgrade to Group 4 facsimile, which transmits faster, higher-quality text, diagrams, and photographs. Call Center Operations. With ISDN service, you get Automatic Call Distribution without having to buy and maintain special switching equipment. 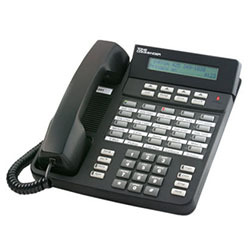 For more information about Avaya ISDN Telephones, contact sales@comtalkinc.com or call (800) 955-6082.